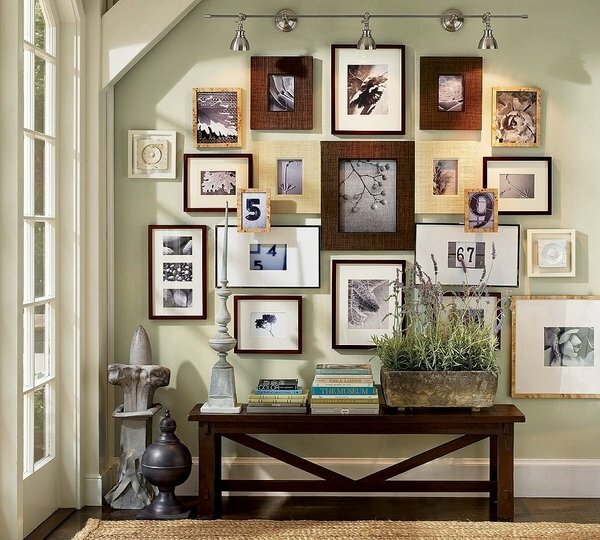 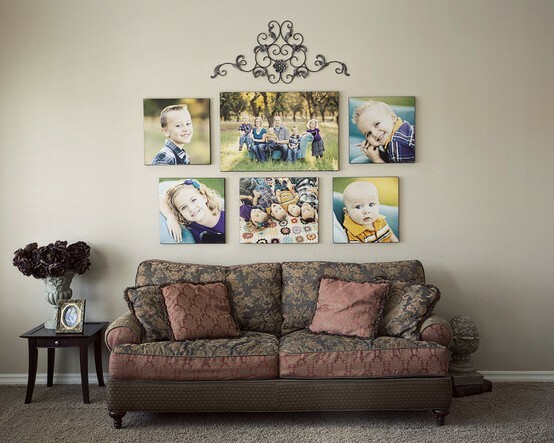 Arranging a photo wall is a great way to show your favorite moments with family and friends, as well as display photos of special events such as weddings or exotic vacation. 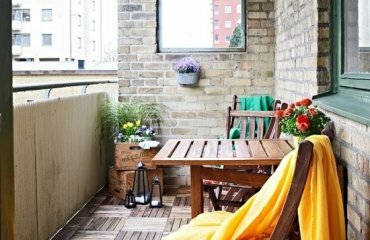 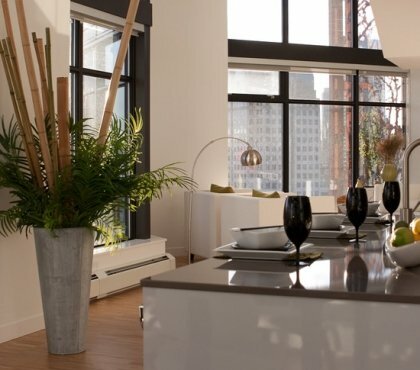 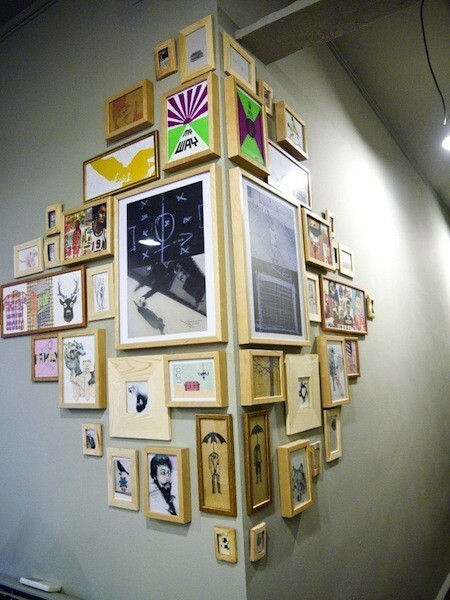 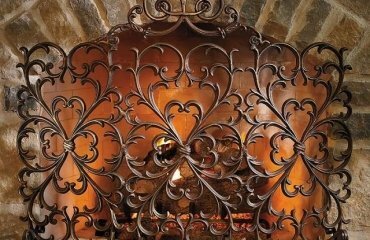 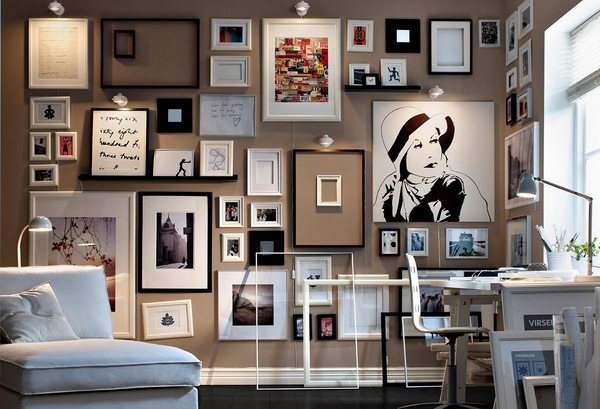 It is also an ideal solution for a wall in your room, where you have no decoration idea. 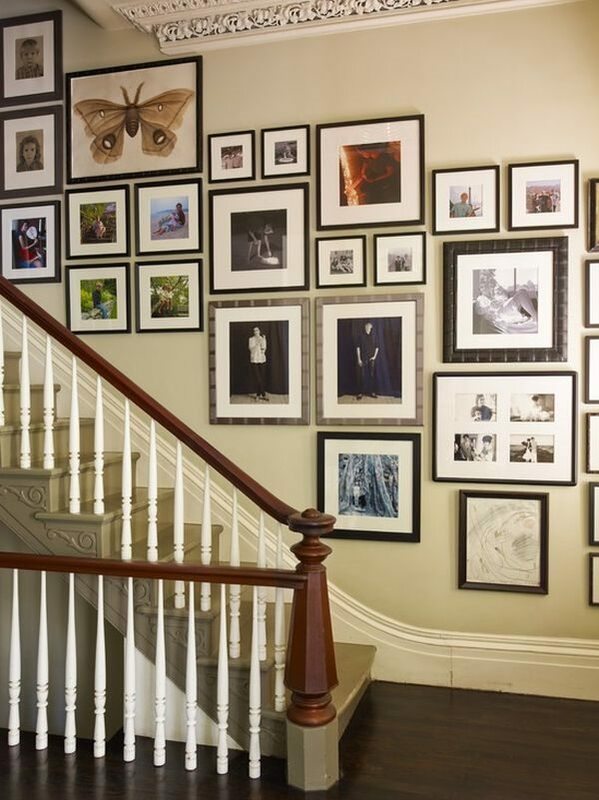 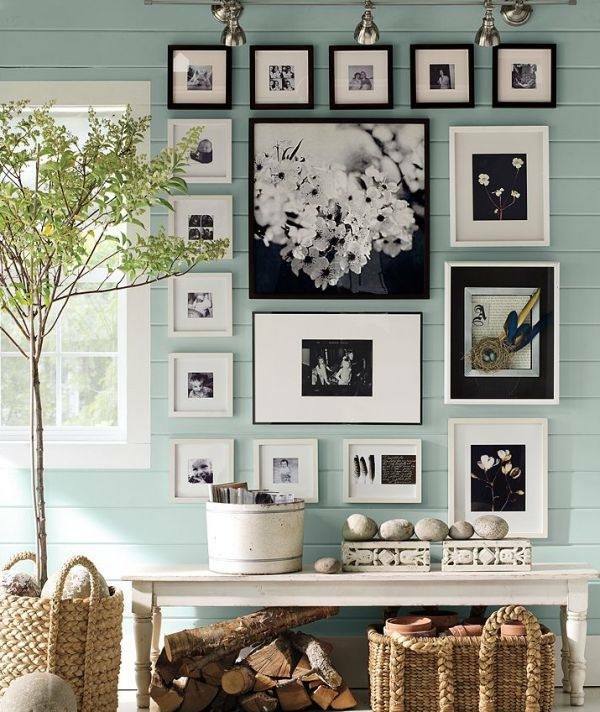 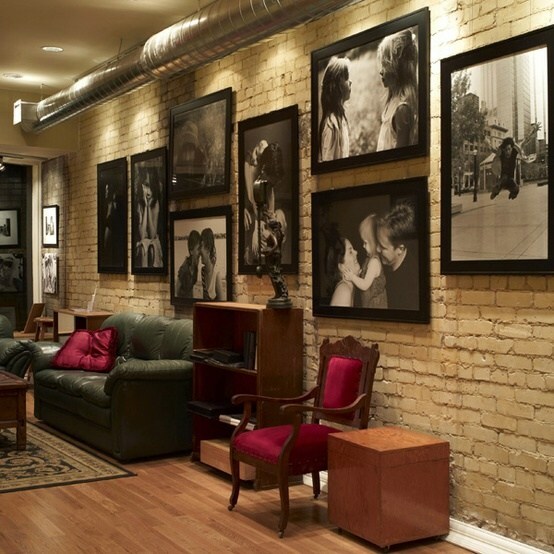 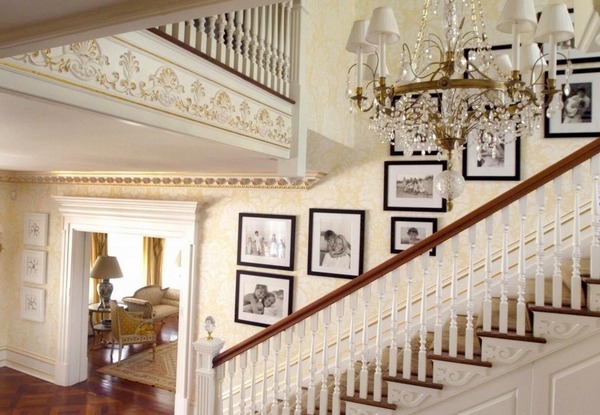 Having a photo wall means that you can watch your favorite photos every day. 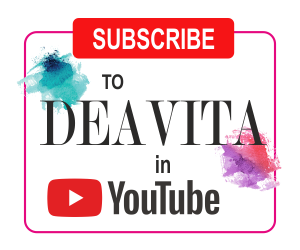 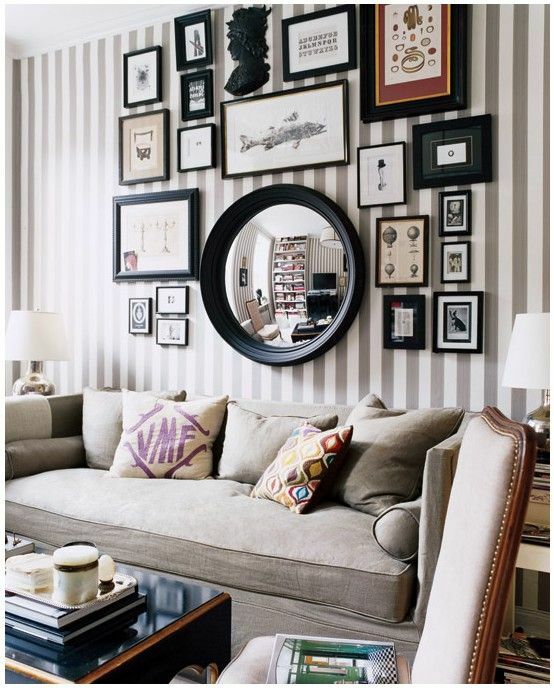 Be creative with your design. 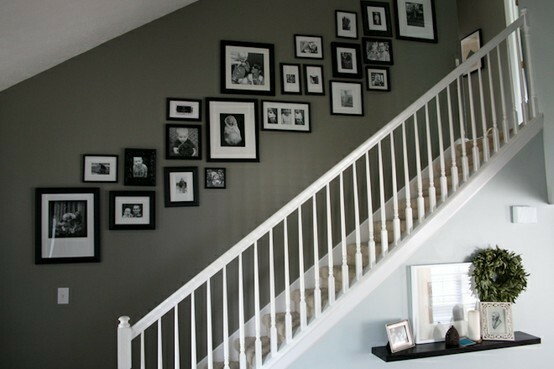 Remember to keep the majority of the photos at eye level for the best results. 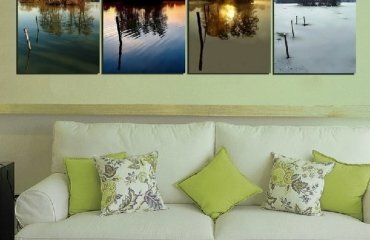 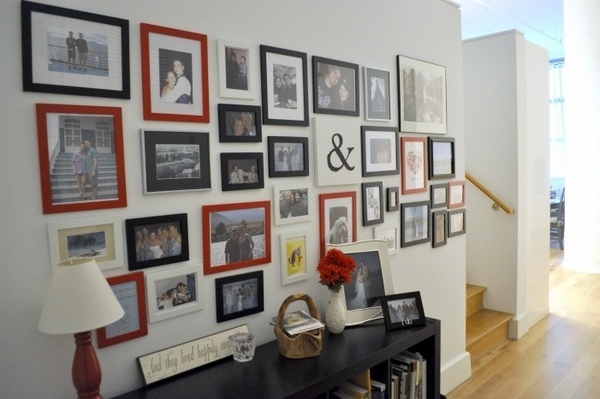 Decide on the theme of your photo wall. 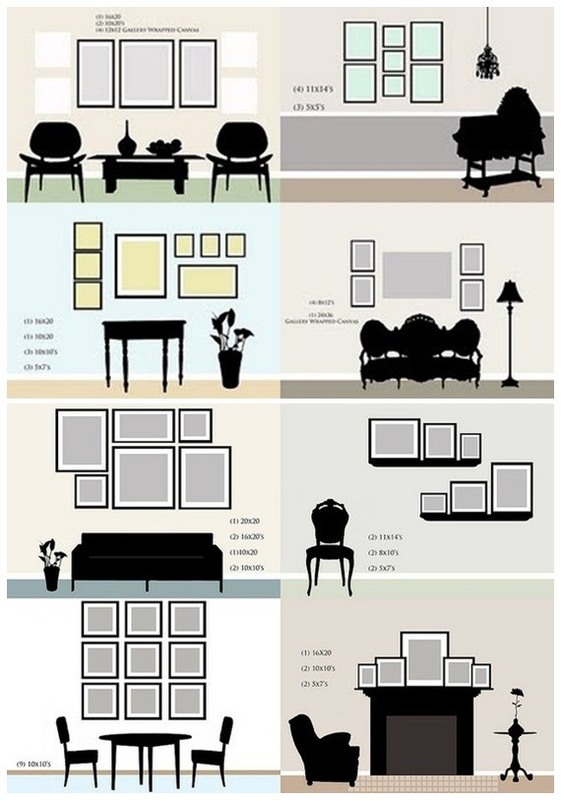 Do you prefer family photos? 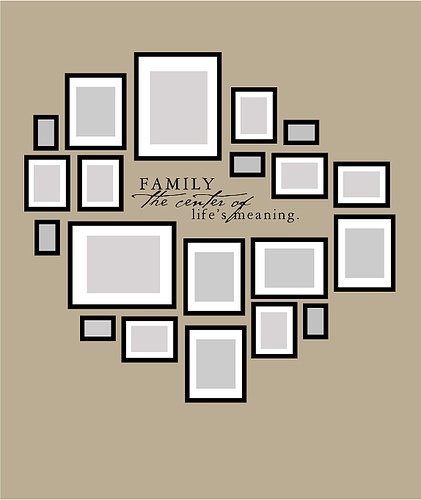 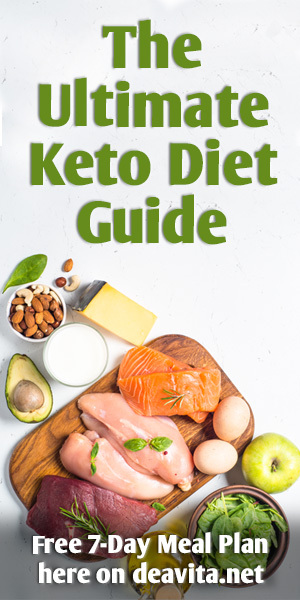 The choices are so many – from friends and family, black and white photos of friends, black and white photos of cities or landscapes, vacation and travel photos, wedding photos and other photos. 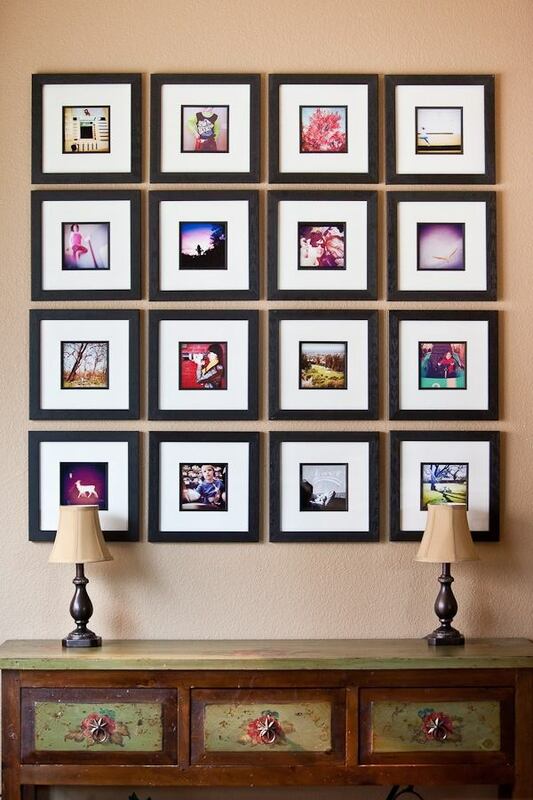 Frame your photos. 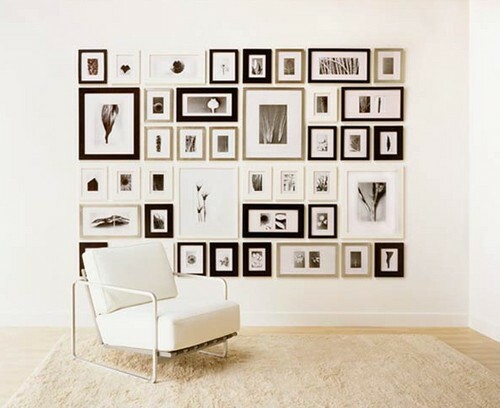 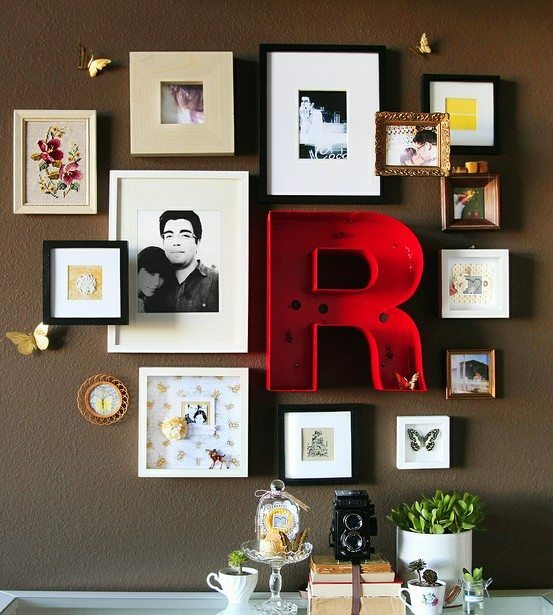 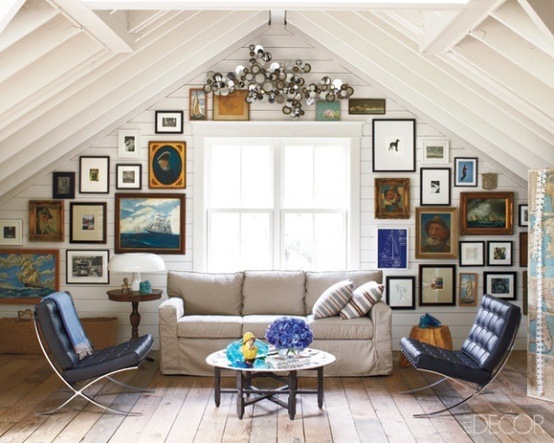 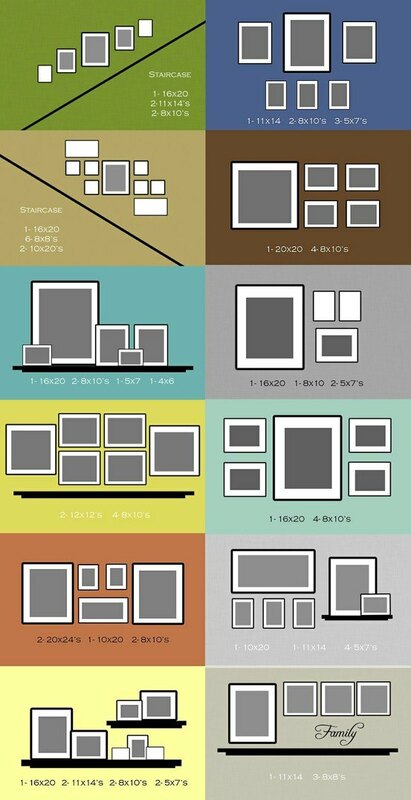 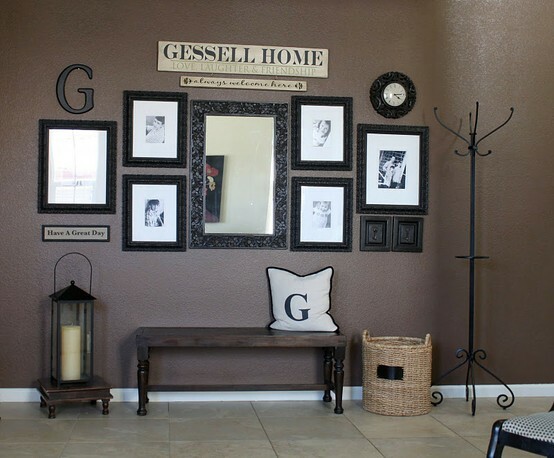 For a beautiful photo wall, use the same type of frame, especially if you keep to a particular topic – wood frame, metal frame, or white or colored plastic frames. 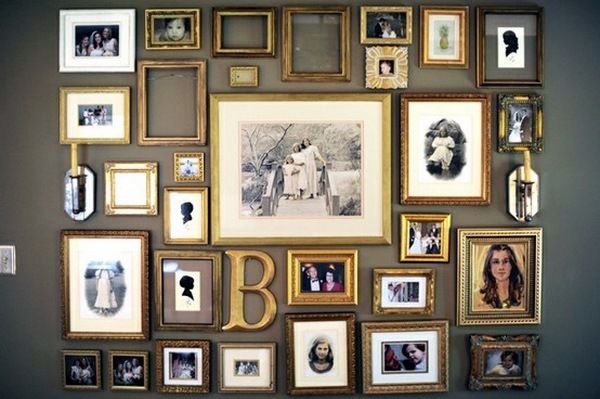 Another option is to decorate each frame individually. 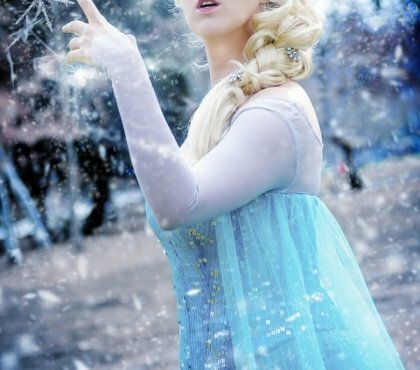 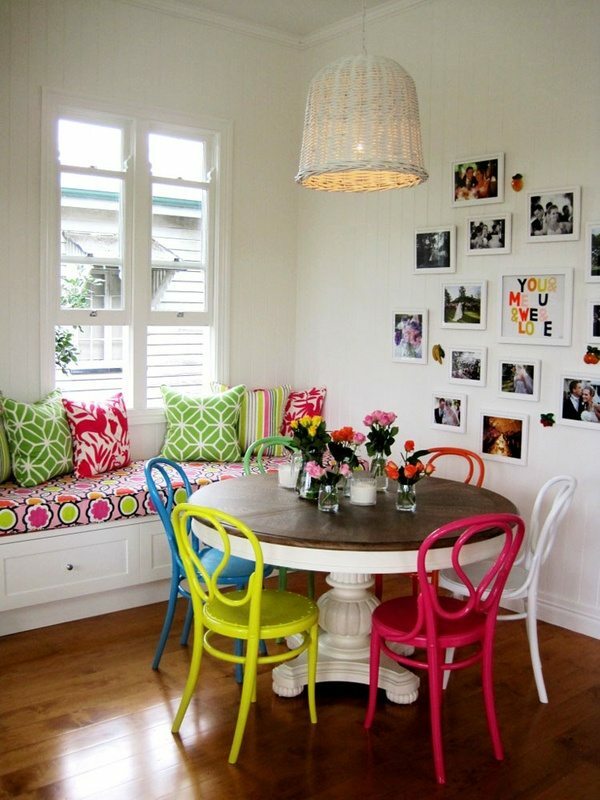 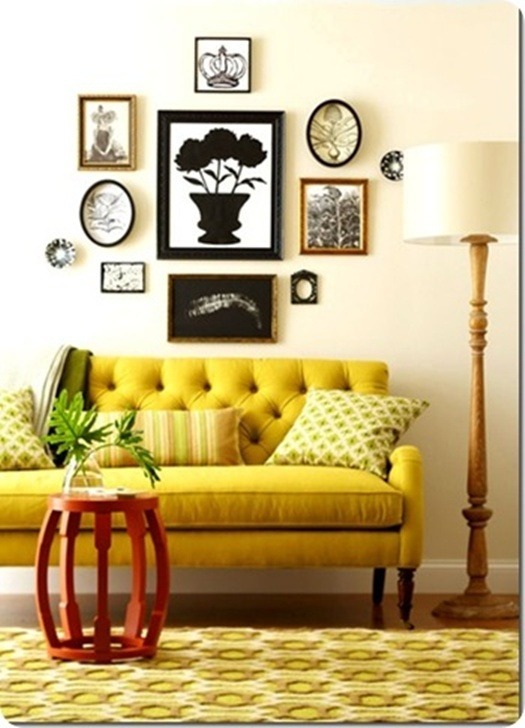 With paint or other materials such as wallpaper or fabric scraps, beads, old buttons, faux jewels or sequins. 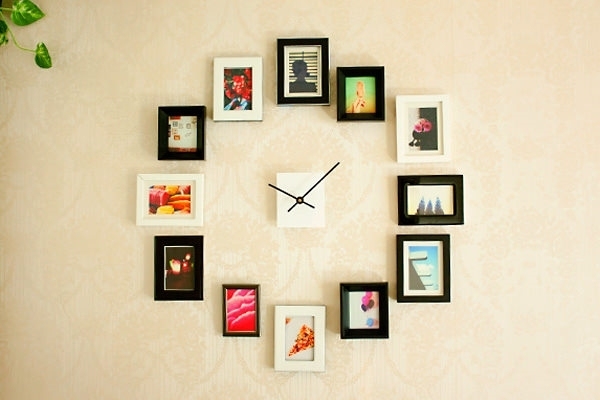 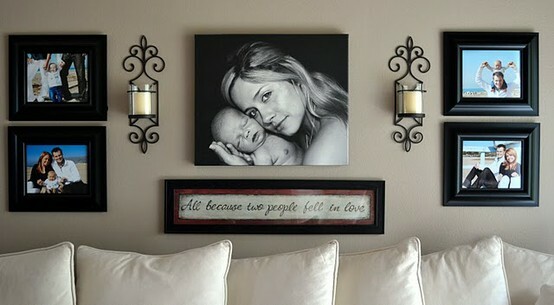 Decorate the frame so that the decoration fits with the photo. 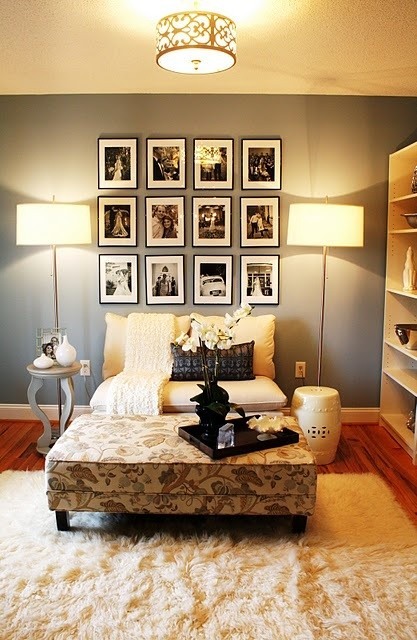 Measure the surface and organize your photos on a carpet or a piece of paper that is about the same size. 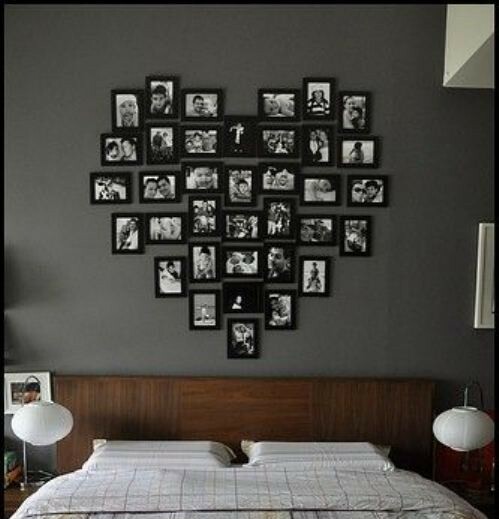 Arrange the pictures until you achieve the desired shape. 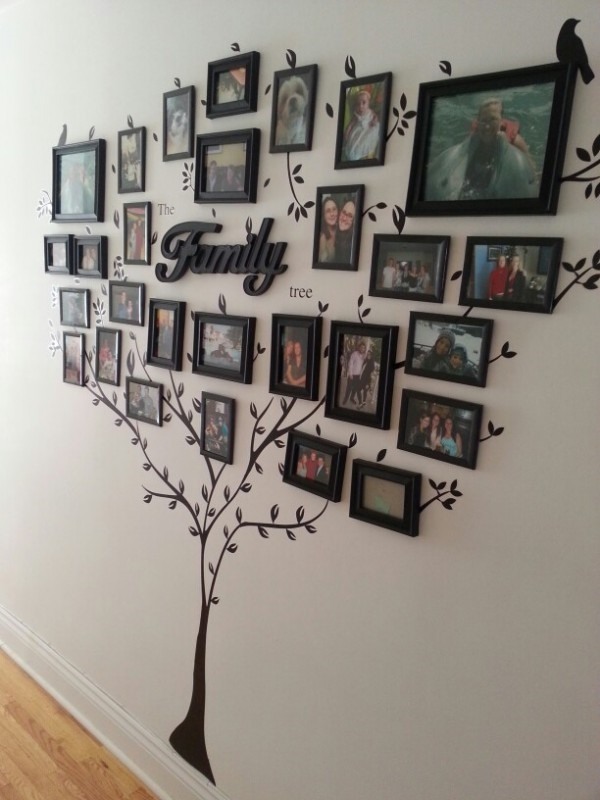 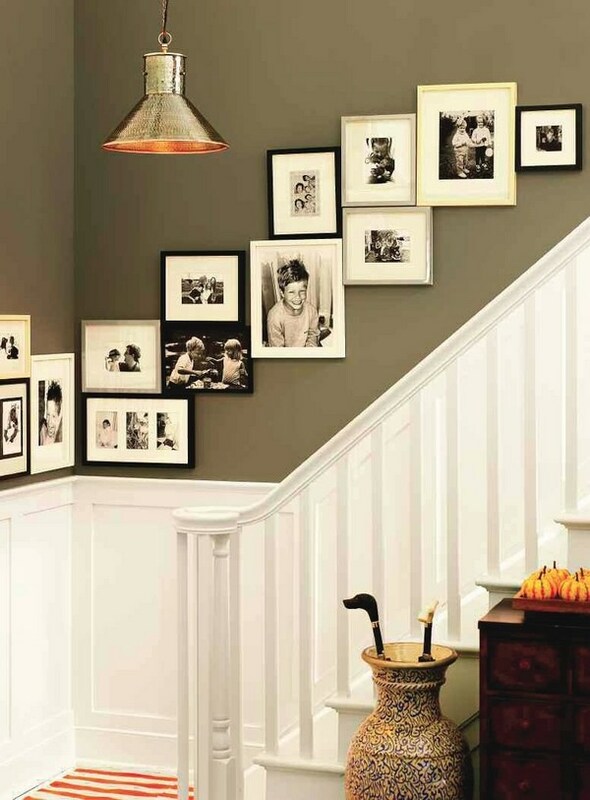 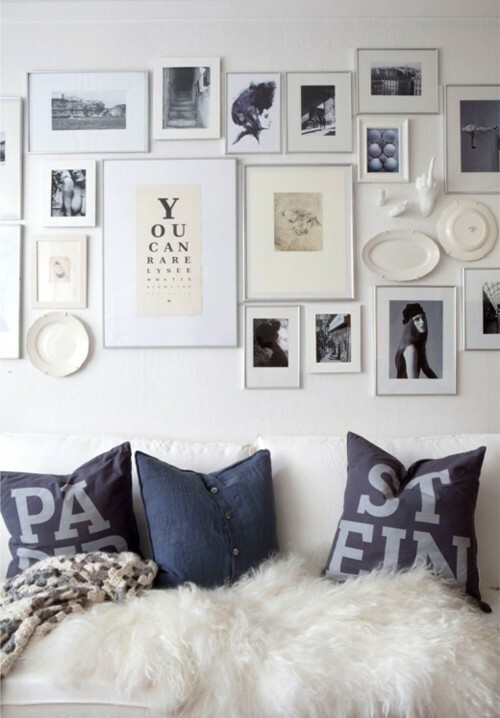 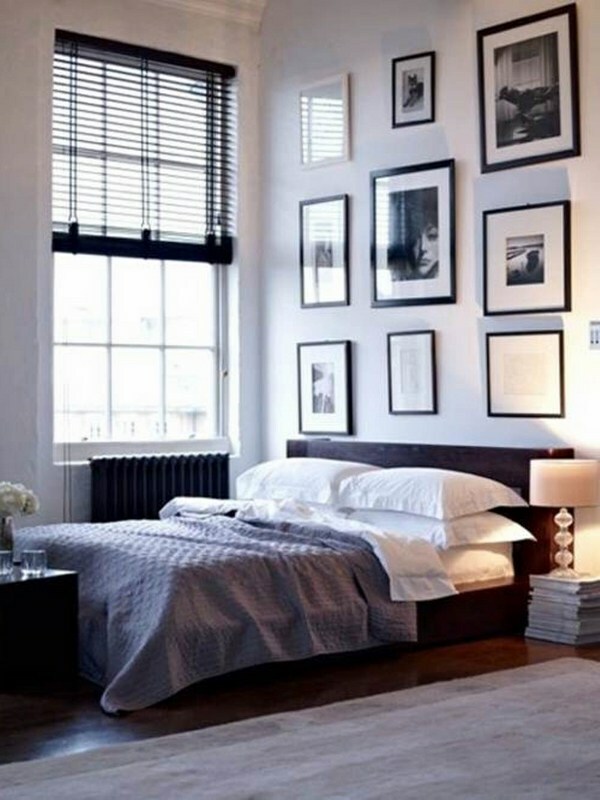 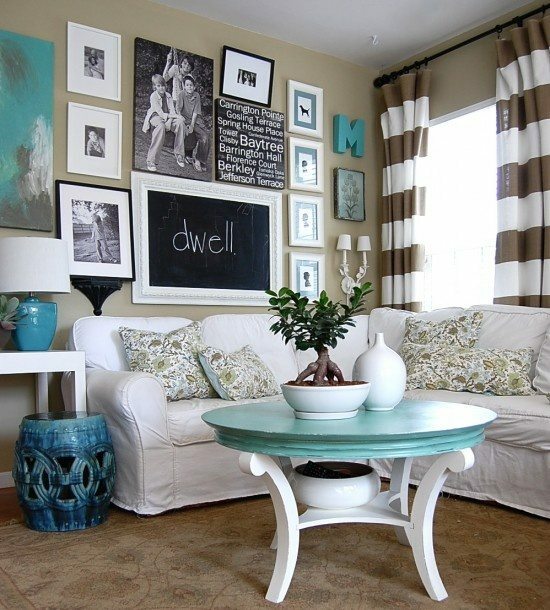 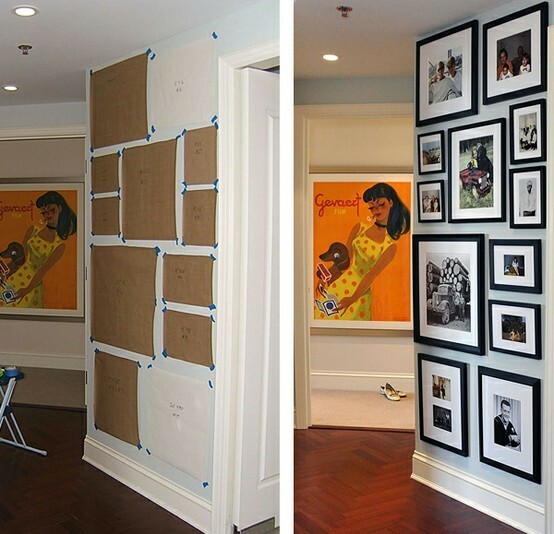 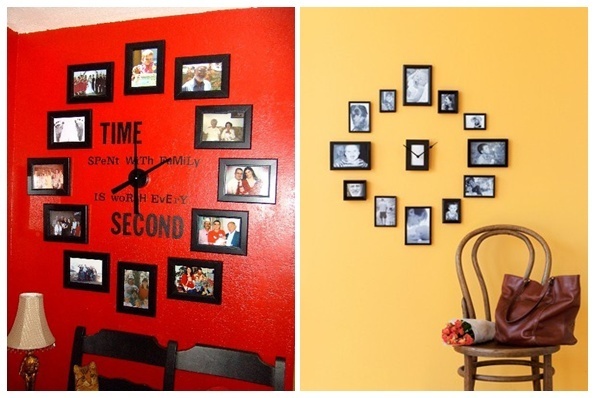 Measure the spaces between each photo and mark with a pencil where you want the photos on the wall. 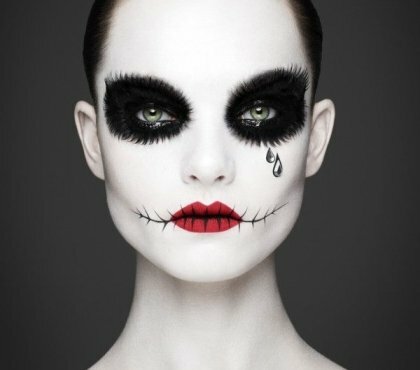 If you wish, you can change your paint. 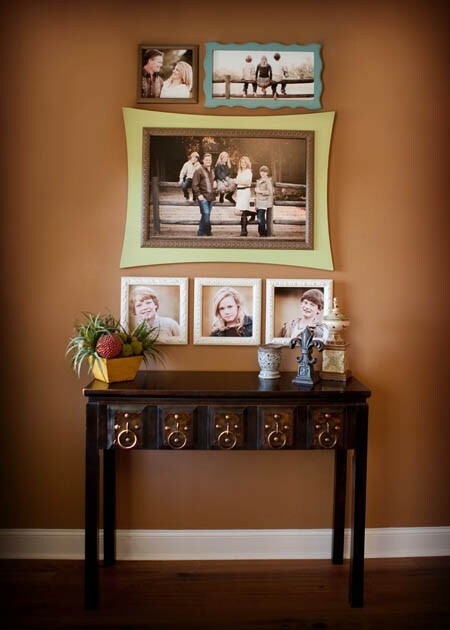 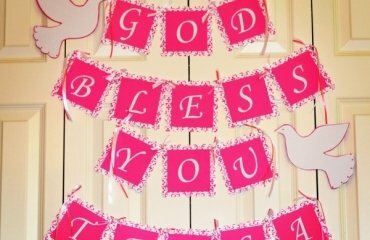 Create a border with stencils and paint. 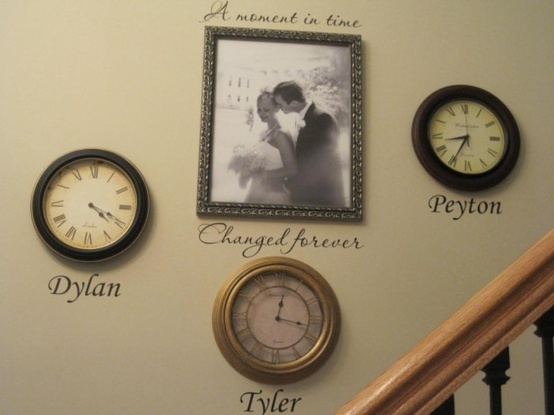 You could also write nice sayings, such as “Our wedding” or “friends and family”, or let the surface as it is.